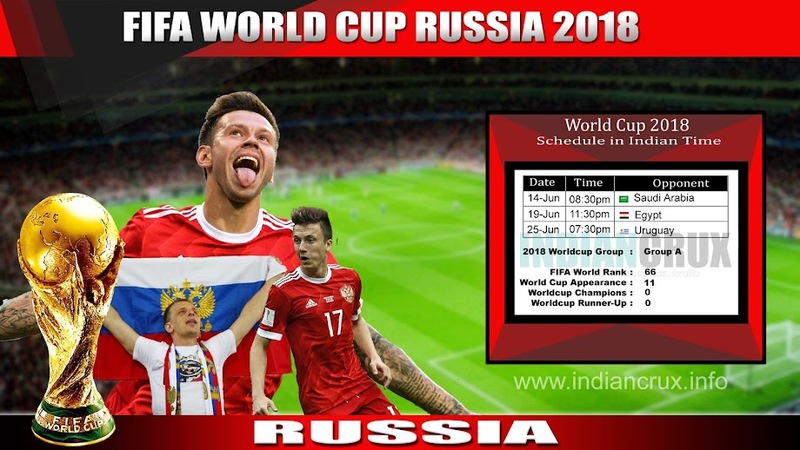 Russia Team Schedule and Results at 2018 FIFA World Cup , Downloadable Schedule of Russian team at FIFA 2018 World Cup is here. Russia qualified through the hosting. 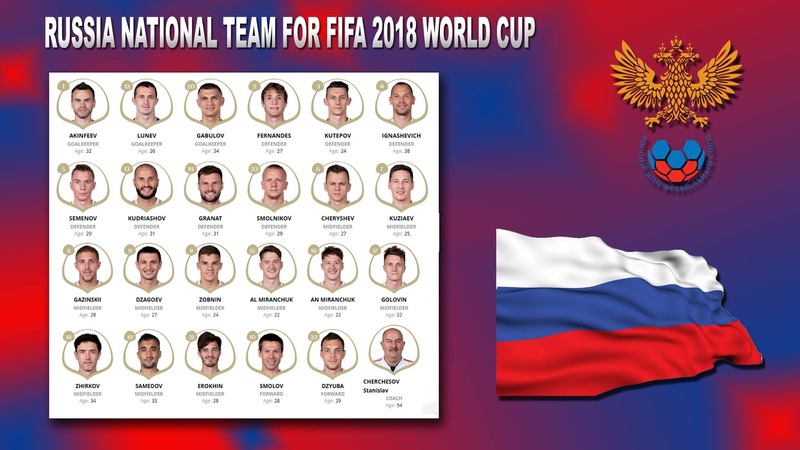 Russia, the hostages, making their 11th appearance in FIFA World Cup. At FIFA World Ranking, Russia is currently at 66th. First match of Russia is against Saudi Arabia on 14th June at 08:30pm Indian Standard Time. Then against Egypt on 19th June at 11:30pm and last group stage match is against Uruguay on 25th June 2018 at 7:30pm. Russia played their first international match against Mexico in 1992 and won by 2-0. The biggest victory is against San Marino in 1995 and against Liechtenstein in 2015 (both are won by 7-0 ). Russia made their best performance at FIFA World Cup in 1966, Russia reached at fourth place at that time. 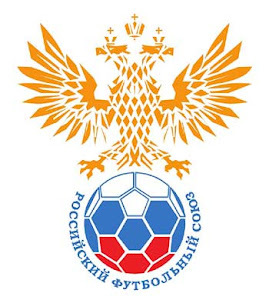 Russia were the Champions of European Championship in 1960 as Soviet Union.